Patient wanted to correct white spots on her front teeth. This was corrected conservatively with composite bonding. 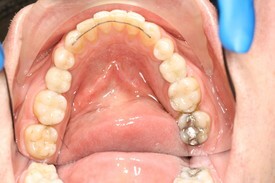 Patient presented with worn, stained upper front teeth. Case was treated with Zoom whitening and 4 porcelain veneers. Patient presented with decayed, broken front teeth. 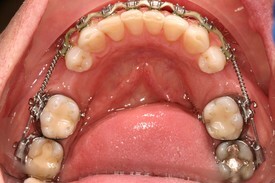 Case was treated with porcelain crowns.